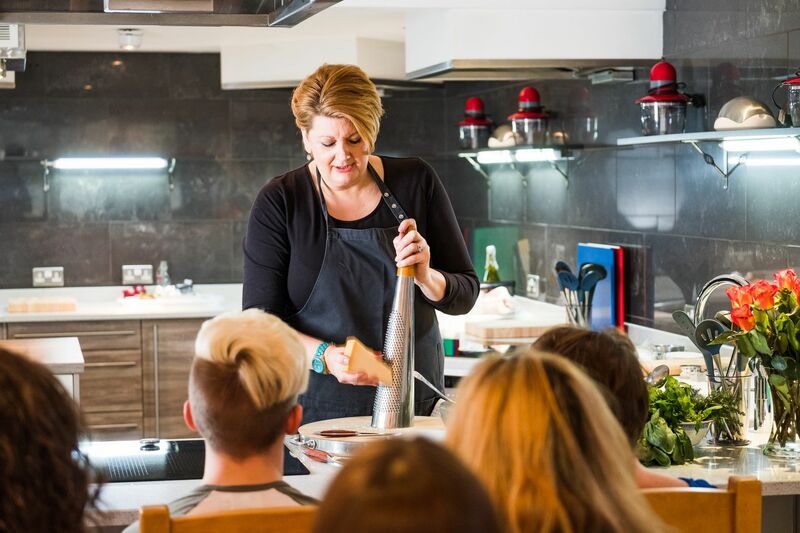 Reserve your place for a fun and an inspiring demonstration event with Angela as she cooks up a special Autumnal feast before your very eyes. Refreshments are available on arrival and delicious tasters are served during the session and a selection of our kitchen must-haves are available to buy upon departure. All of Angela’s demonstration dishes are raffled for her infamous raffle! Please note that our style of food draws on influences from the Mediterranean, Middle East and Modern British. Our tasters utilise dairy, meat and fish products and therefore are not suitable for vegans or those with dairy allergies. We will do our best to prepare a variety of tasters including tasters without meat for vegetarians and pescatarians, but we are unable to cater for any specific food allergy. If you have any questions about this please contact me directly. A selection of alcoholic drinks will be available to purchase. Lunch is available at Llanerch Vineyard after Saturday Morning Kitchen. To book a table from 12.45pm onwards, please call the Vineyard directly on 01443 222716.